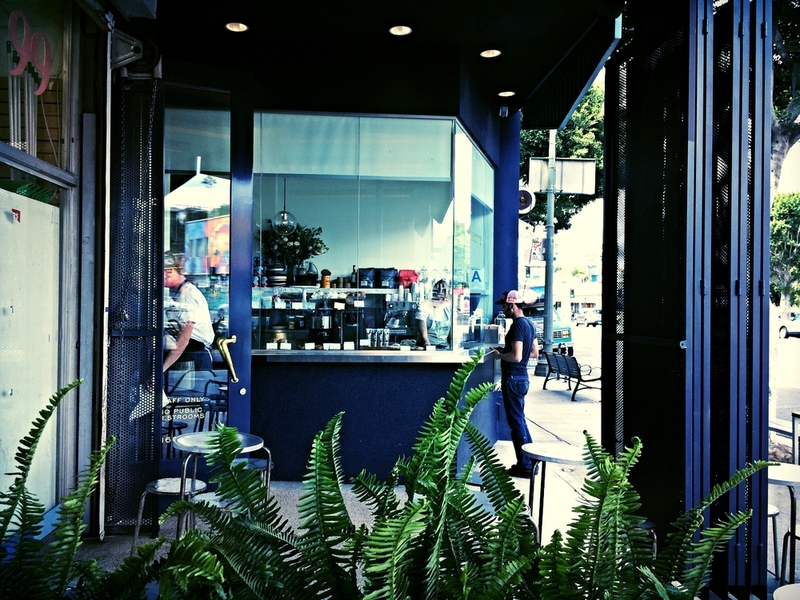 In case you are looking for a spot to get coffee around Echo Park - here are some recommendations. go and fill up your coffee tank! Oh how I like that place! 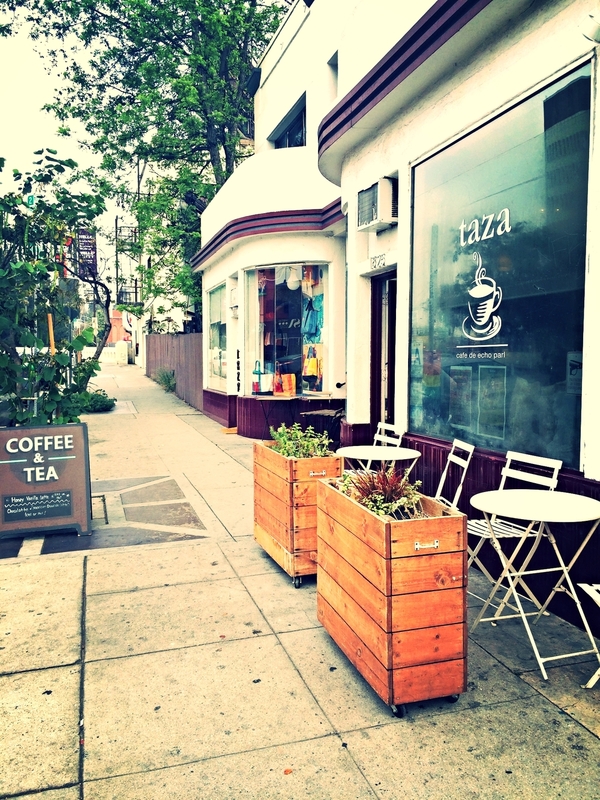 Very reasonable prices: regular coffee $1.75 (no additional charge for almond milk), no indoor seating, enjoy the morning sun in front of Taza. My husband likes their chocolate croissants and lattes! Opens early in the morning! Lovely cafe with a "hipsterish / old fashioned" book store included! Community table inside and patio (afternoon sun). Best iced chai latte I've ever had (pretty spicy). Regular coffee $2.50 (one free refill included). Delicious pastries (we had the brownie). 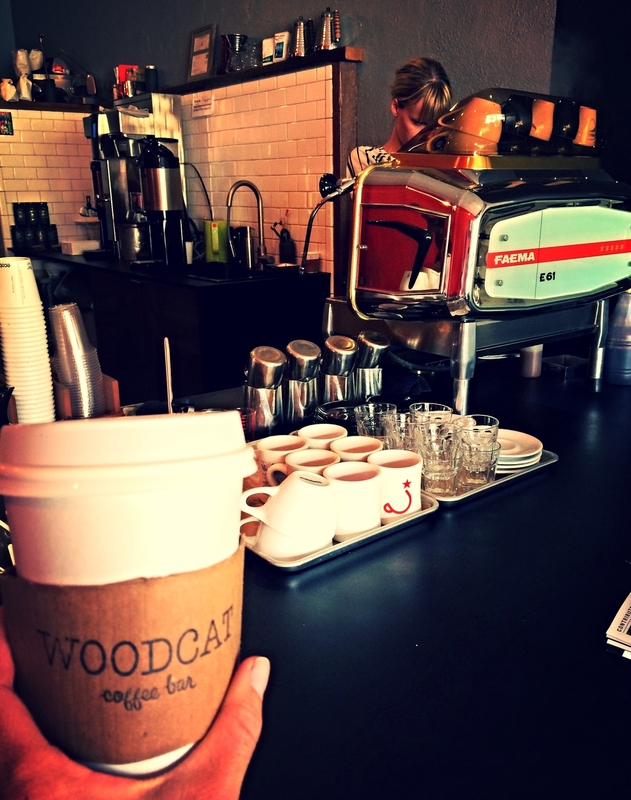 I've only had the regular coffee at Woodcat so far, which was good. $2.75. There's a bench outside of Woodcat and quite a lot seats inside. I like their interior design, staff is super friendly! I like the americano at Andante. 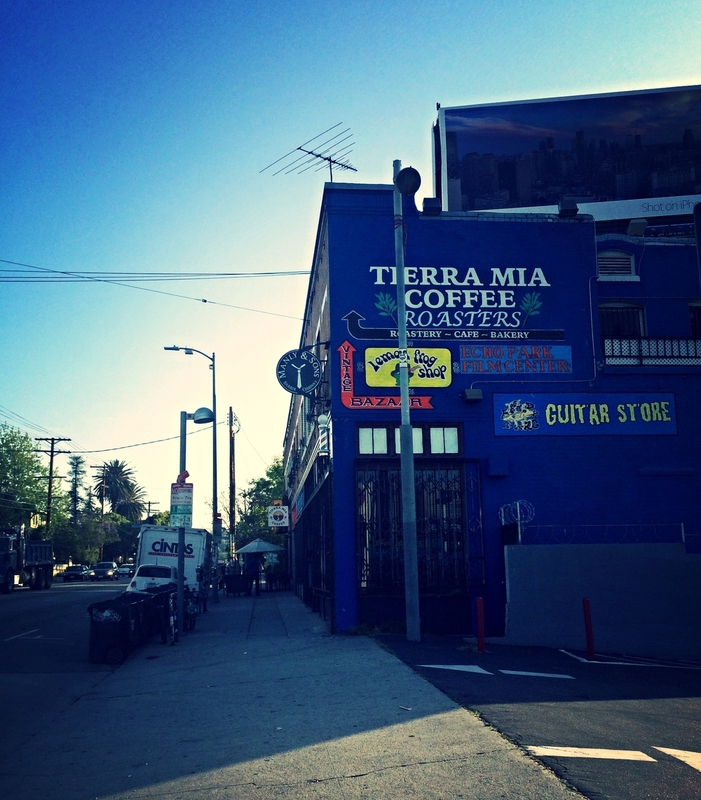 It's a little pricy compared to the other coffee places around Echo Park ($3.75). But it's worth it! They do mint-matcha lattes, which I definitely want to try! Nice spot for doing some computer work! There's not a lot outdoor seating, more or less just a bench, but enough for two to enjoy the late afternoon sun! I really like laying in the grass in Echo Park, it's such a peacful place to have a rest by the water. And in case you feel like having a coffee: check out the Square one right within the boathouse (where you as well can rent a peddal boat). Kitchen already closes at 3pm, the café at 5pm! I like the iced green tea, but unfortunately their coffee was a little bit too strong for my tiny heart :) ($2.75). Friendly staff, clean environment and the baristas are pretty good in latte art! I haven't tried Dinette yet, but I definitely will.. It's just a window with one / two tables on the boardwalk.. always kind of a big crowd in front of it, especially on the weekends. hipsterish! and a little bit pricy too. I'll let you know if their food / drinks are worth it.